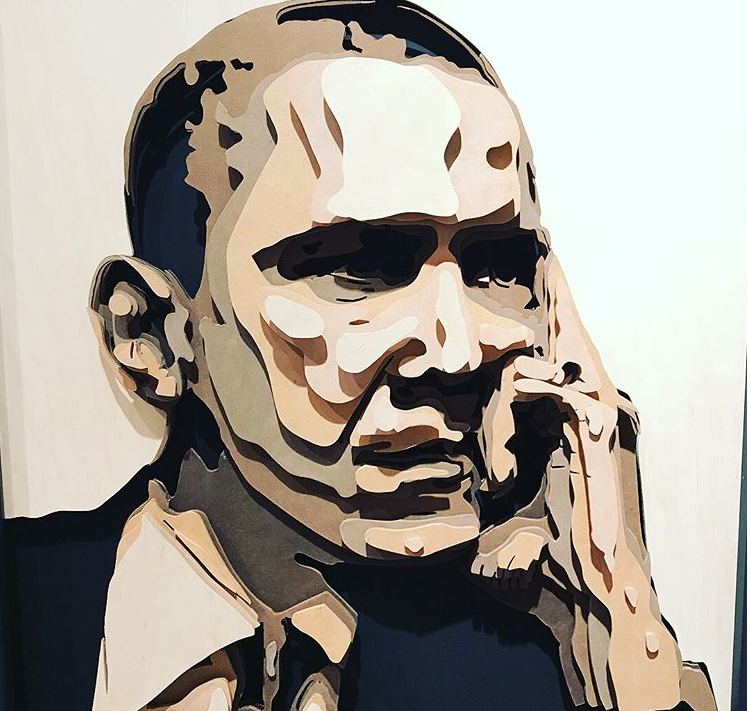 Last weekend, former and current professional athletes ranging from NFL, NBA, MLB, and US World Cup Soccer stars stood by their works of art inside of 1708 Gallery, addressing their pieces in the first exhibit of its kind for Richmond. No helmets to sign, no signatures carved across spiraled canvas. At this exhibit, sweeping changes are in play; stigma the only opposition. Though many questions far and wide were answered that night, one question remains unattended, stagnant in the air: can one be more than an athlete? 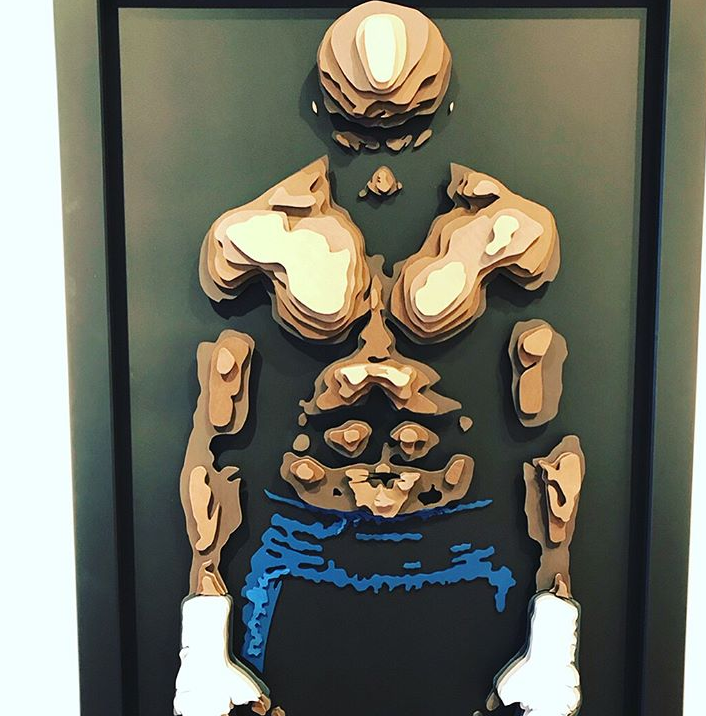 Last Friday, The Abstract Athlete held its self-titled exhibit featuring works from a wide variety of artists, all professional athletes and associated acts rallying for various charitable causes. 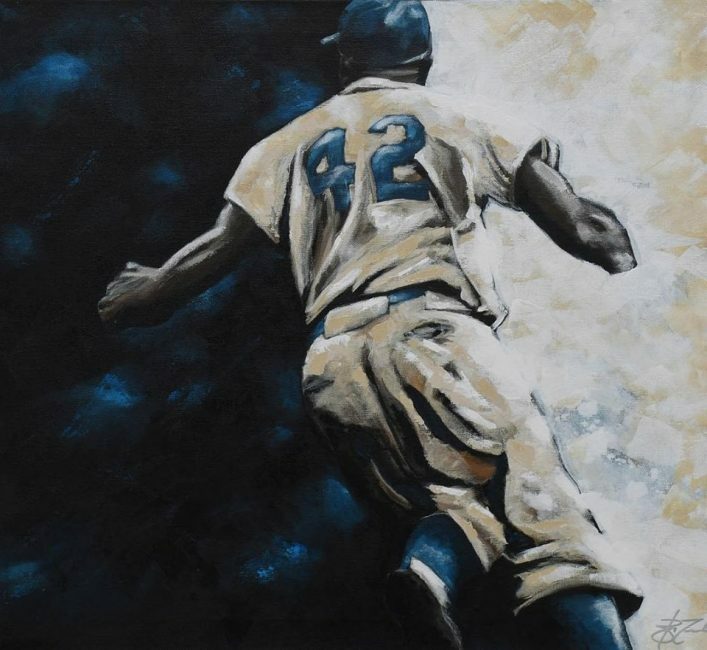 The organization works to brings together artists and professional athletes and the exhibit aimed to showcase work centered on the collision of art, sports, and science. Washington Redskins tight end Vernon Davis, Larry Sanders of the NBA’s Cleveland Cavaliers, U.S. soccer legend Jay DeMerit, and former MLB pitcher Brett Tomko to name a few were all involved in the weekend’s events. Most of these athletes also gave speeches at a symposium held at Washington Redskins Training Center early Friday afternoon, addressing the problems many athletes face outside of the limelight, as well as the stigma attached to sports in its polarizing distinction from art. “The main thing we are trying to promote here tonight is that we are more than just athletes, the sports world is not as separate as many, I feel, believe it to be,” Davis said. The exhibit is the brainchild of Ron Johnson and Chris Clemmer who have working on the exhibit for the last years. Clemmer is a toy designer and co-founder of Sprig toys and Beginagain Toys and Johnson is an Assistant Professor in the Painting and Printmaking Department at VCU. The Vernon Davis Foundation, Glenn/Gwinn Foundation, and the Mission 22 Foundation encompassed the bulk of the donation list that would benefit from the purchase of the athletes’ works. VCU scholarships were also available upon purchase of some works, hoping to encourage further research into brain injury rehabilitation, a topic Johnson and Clemmer said still haunts the fields of organized sports today. Johnson said he plans to showcase the exhibit in other locations in the future. “This was practically the launch, we have several spots in the hopper, Ohio State, Tallahassee, University of Georgia, it’s wild how many athletes are reaching out with ideas for exhibition sites,” he said. The Abstract Athlete will be on display through March 16 at 1708 Gallery at 319 W. Broad St.
A new policy signed into law by California Governor Jerry Brown (D) has banned the use of the term “redskins” and the logo associated with the term from being used by public schools in the state. Humans tend to suppress difficult times in their memory. Places, people, and things connected to these dark times, when encountered, tend to precipitate flashes in our brains, bolstering the suspicion that, yes, I was surgically engineered in a lab as a military weapon where they wiped my prior memory. No, it turns out, I just ate at that Arby’s with my ex-girlfriend once. How long did we date? That many years? And so on. That Arby’s is quite similar to names like Albert Haynesworth, Jason Taylor, Adam Archuleta, and very possibly soon: RGIII. It was an abnormally cold night, even for FedEx Field in December. And unfortunately for one Daniel Snyder, the offices were no refuge from it. Ticket sales were down. Robert Griffin III jersey sales, once the cash cow of the franchise, had halted.